Kids! 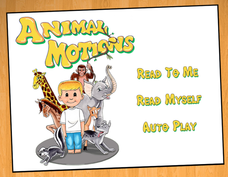 Get Creatively Fit with Animal Motions! Have fun acting like 17 different animals in this easy-to-follow movement routine told as an interactive story! Available as a colorful children's picture book & app. Written by Melissa Pilgrim, Animal Motions was inspired from her theatre classes with children. It was created to help kids learn how to be “creatively fit” by moving their bodies as they use their imaginations at the same time! Follow 5-year-old Eric as he stretches and moves his body by using his imagination to become some of his favorite animals. Watch his creativity come to life as he mimics simple animal motions and his bedroom transforms into the many various habitats where each of these animals would live. Travel with him to the jungle, desert, forest, and ocean while moving like 17 different animals along the way-- and don't forget to keep your body moving! This story shows how imagination can help make moving your body even more fun! Available to Print Out & Color! Animal Motions can be done at home, school, libraries, or any safe place that allows room for a child to stand and move about while doing the short, simple, fun routine. * Anyone looking for a fun, interactive activity/story for a child and adult to do/read together! A Great Way to Combine Reading and Movement for Young Children! "My class loved the illustrations and doing the motions! It easily kept their attention and focus! They wanted more—a must read!" Libraries Need this Book for Storytimes! 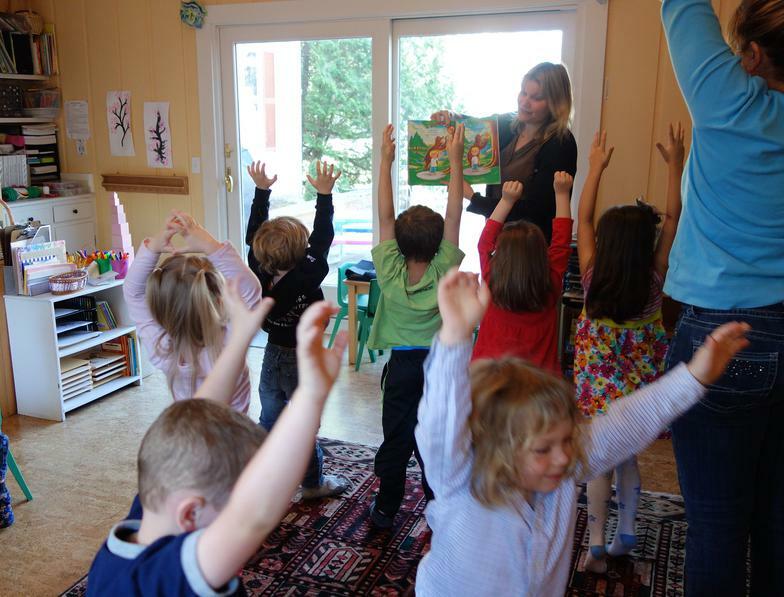 "The author demonstrated Animal Motions in a summer Storytime session in our library. Her knowledge of children's theater and background in drama is a big element of this book and adds to the value of the promotion of low impact movement included within its pages. Parents, caregivers, teachers, and childcare workers will be able to pull this book from a shelf and begin a group or individual exercise session with absolutely no prior training! I will be using it in future Storytimes to get preschoolers moving!" Excellent Exercise Book for Preschool & Kindergarten Children! "This book really helps to get kids moving! It would be great to keep on-hand in a preschool classroom or at home if you have little ones, especially on a rainy/snowy day when it is difficult to get outside. I have worked in several early childhood classrooms and think it's essential to have a book like this available to students. Finding new, creative ways to get kids moving not only helps them maintain their own physical fitness, but it also serves as a great classroom management tool: I definitely recommend this book!" beautiful, full page watercolor illustrations! The app features fun animation, audio hotspots, & professional narration! See the story come to life ​In this fun, engaging app as you watch colorful animation, discover the sounds the animals make through audio hotspots, and enjoy professional narration with word-by-word highlights! Options include Read To Me, Read Myself, and Auto Play. 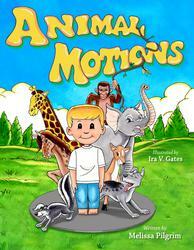 Animal Motions Birthday-Theme Party Ideas! Giving the book as a gift to the birthday boy or girl? Contact [email protected] for a promo code to save money when ordering it! Also ask about group discounts for party gift bag books of 8 or more.